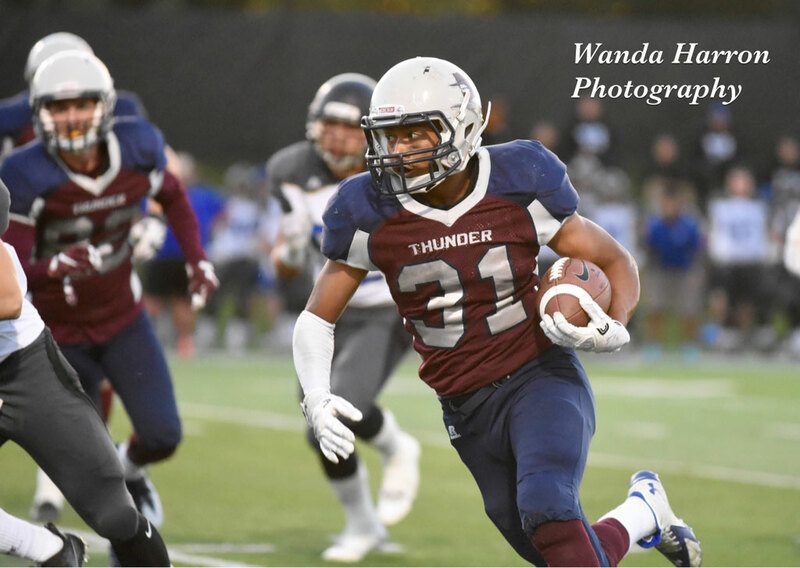 REGINA -- The Regina Thunder used a bruising ground attack to dump the Winnipeg Rifles 43-29 Saturday night to sweep their PFC home-and-home series. The Thunder rushed for 306 yards including 154 from Victor St.Pierre-Laviollette - who scored a pair of touchdowns - in improving their record to 3-1. Thunder teammate Ethan Hautz rushed for 129 yards and a score for Regina as well. Regina quarterback Sawyer Buettner (BITT-Ner) was 18 of 27 for 266 yards and two touchdowns in the victory. Kris Calcutt led all Thunder receivers with 113 yards and also kicked a pair of field goals. Teammate Levi Paul caught only two passes for 11 yards but both were for touchdowns. Before a capacity crowd at Leibel Field, the Thunder led 14-7 after the opening quarter, 29-14 at halftime and 36-21 going into the fourth quarter. Penalties were a big story in this one as each team was flagged 19 times for a game total of 406 yards. The Thunder will be on the road in Week 5, visiting the Saskatoon Hilltops on Saturday, Sept. 10 in a 7:00 pm kickoff at SMF Field.